Two motorists from Bognor have been convicted of drink-driving offences. He was also disqualified from driving for 32 months and ordered to pay £620 costs and a £115 victim surcharge, police said. Andriukonis had been arrested in Spencer Street, Bognor Regis on December 2, police added. 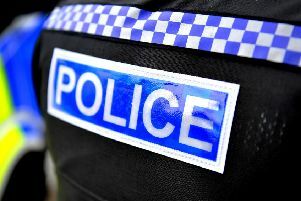 A police spokesman said that Ken Taylor, 39, unemployed, of Compton Drive, was sentenced at Worthing Magistrates Court on May 14 after being charged with driving with 175mcg of alcohol per 100ml of breath in his system and failing to co-operate with a drug wipe test. He said: “Police were called to the premises in Flansham Lane, Bognor Regis, about 9.30pm on December 20, where they discovered a black Peugeot 306 in the middle of the car park. The vehicle had its lights on and its engine was running. Taylor was disqualified from driving for 36 months and sentenced to 16 weeks in jail, suspended for 24 months, the spokesman added. He was also ordered to pay £300 costs and a £115 victim surcharge.